Small actions by everyone in their day to day lives can help meet the challenge posed by climate change, Minister for Science & Technology and Environment Dr Harsh Vardhan has said. 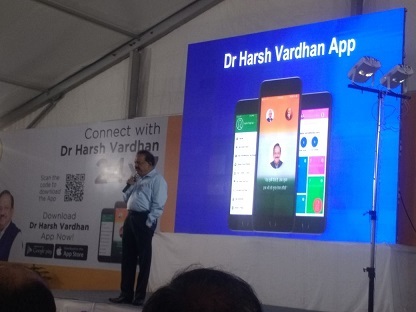 “If by collective action we can eradicate polio, there is nothing that stops India to face the challenge of climate change,” he said while formally releasing his app on the occasion of National Science Day today. “Reviving clean and green environment is new rastradharma,” he added. The minister said “we have inherited a clean, green environment. It is our moral responsibility to pass it on to the next generations in a good condition.” The app is downloadable in both Apple and Google app stores. Paying homage to Sir C V Raman on the National Science Day, he said the country was making tremendous progress in the field of science and technology. In many sectors, he said, India was being counted among top ten in the world. Speaking to India Science Wire, Dr Harsh Vardhan said, " We have an ancestry which worshipped the nature – rivers, forests and trees. Protection of nature is in our DNA, but somewhere down the line we have lost it. 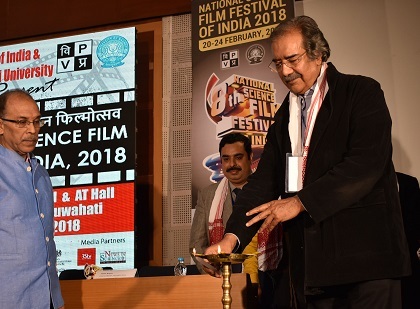 Let us regain it through mass green good deeds campaign"
Speaking to India Science Wire, Dr Harsh Vardhan said, We have an ancestry which worshipped the nature – rivers, forests and trees. Protection of nature is in our DNA, but somewhere down the line we have lost it. Let us regain it through mass green good deeds campaign.